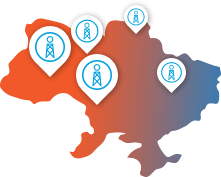 On 19th of December, 2014 American Chamber of Commerce in Ukraine presented complex position document “Reforms in Oil and Gas Sector”, prepared by the members of Energy Committee of the Chamber. The document stress the importance of the adoption of new Rules for Oil and Gas Fields Development and new Subsoil Code of Ukraine. It is noted that the specifics of unconventional activities are to be adjusted in both documents.